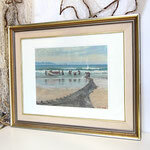 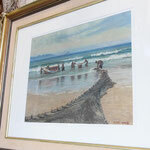 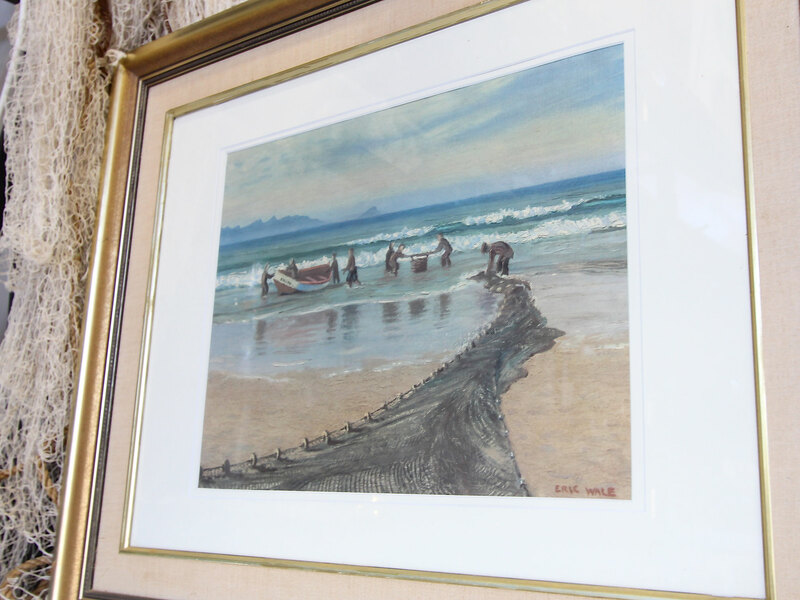 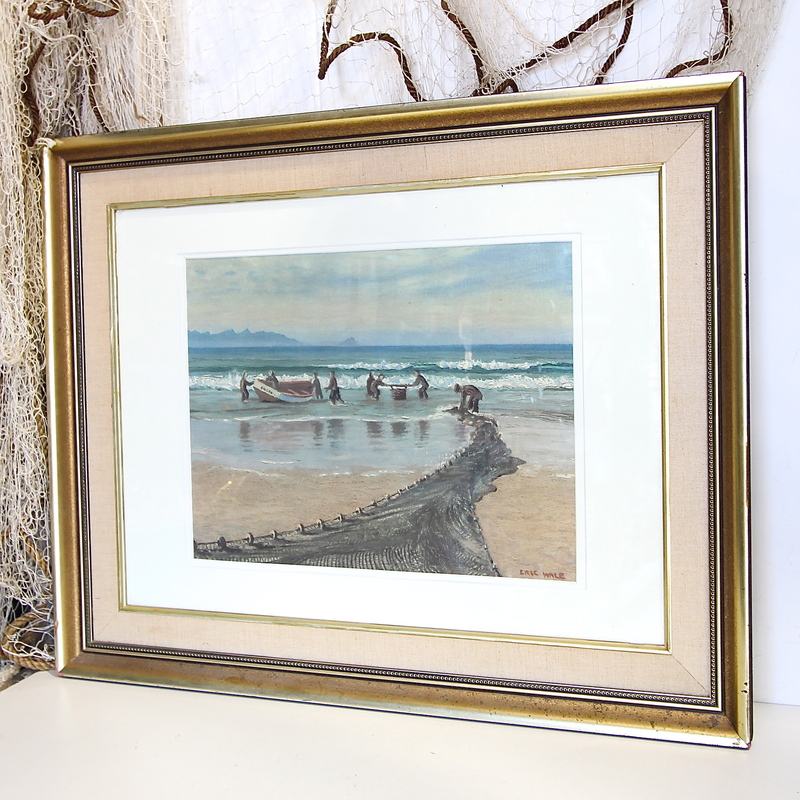 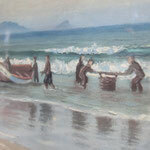 This is a fabulous print of a painting depicting fisherman bringing in the nets. 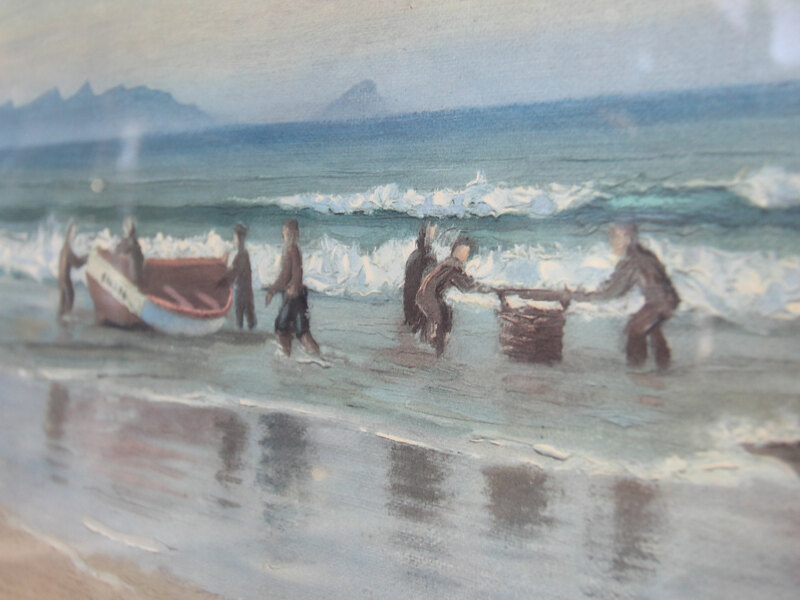 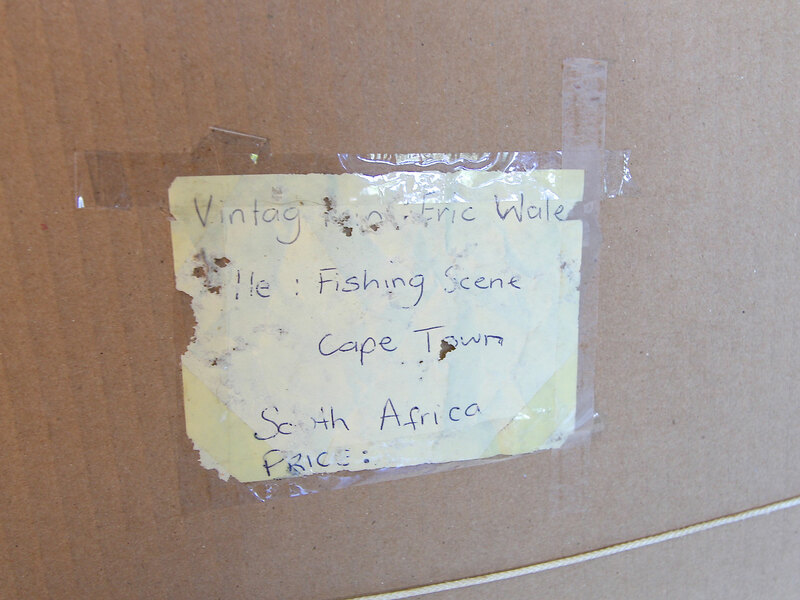 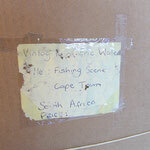 The original was painted by Eric Wale, a prolific Cape Town artist. 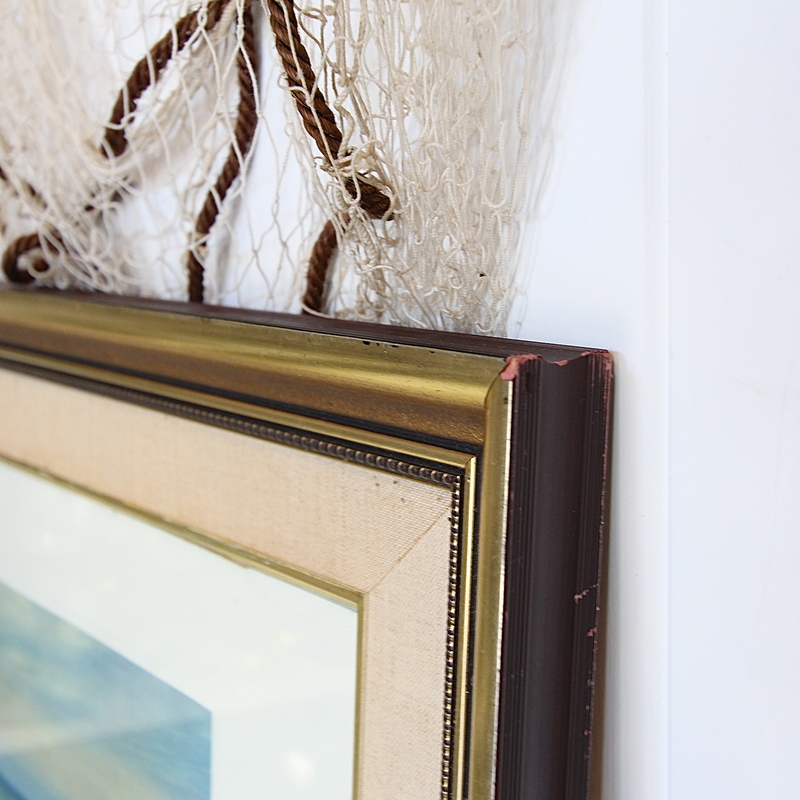 It features beautiful tones of blue thought to teal greens, perfect for a coastal colour scheme. 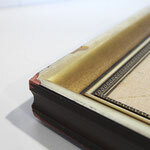 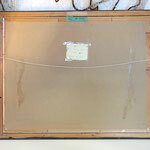 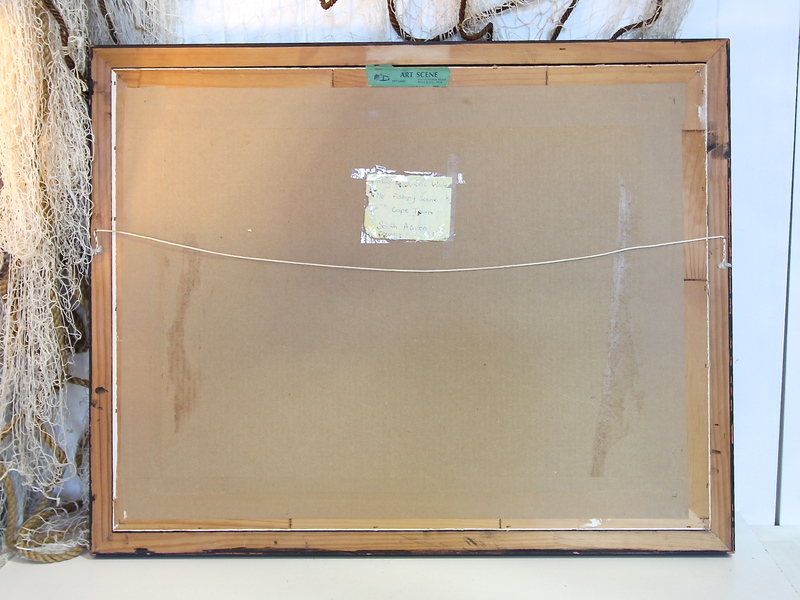 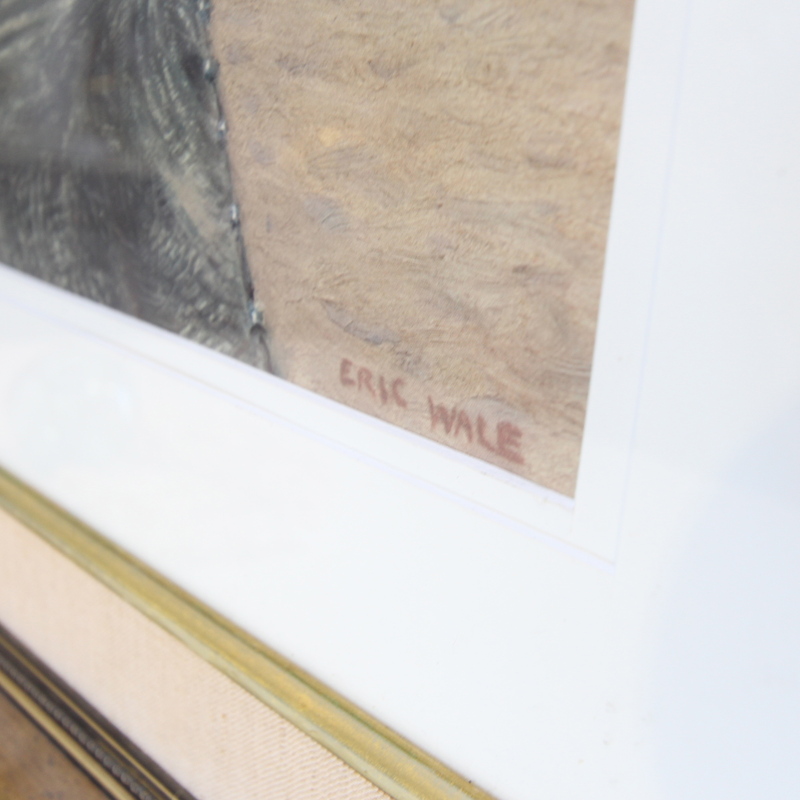 The frame which has a linen panel is in good vintage condition, with some small signs of age.